CT1000 Integrated sensor/controller that can provide the actuation of fans or alarms. Can be ordered for the detection of many gas by replacing the Carbon Monoxyde sensor by specific trasmitters from Airtest. YOU MUST SELECT THE VOLTAGE FROM THE DROP BOX MENU. YOU MUST SELECT 1 SENSOR FROM THE DROP BOX MENU. 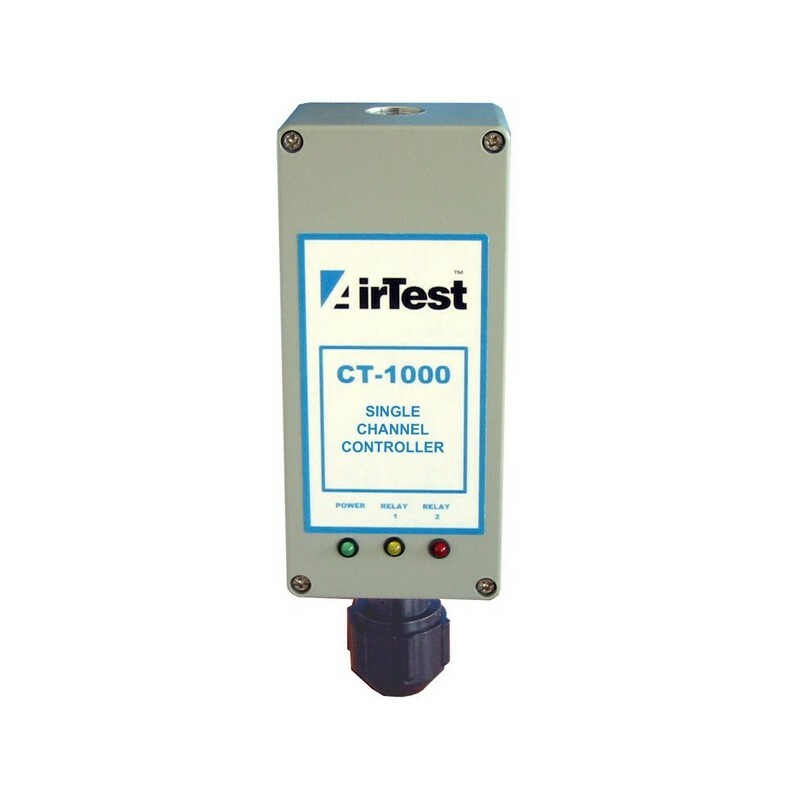 CT1000 Single Channel gaz detector. -Integrated sensor/controller that can provide the actuation of fans or alarms. Can be ordered for the detection of many gas by replacing the Carbon Monoxyde sensor by specific trasmitters. - Includes two 5A relays with adjustable set points and time delays. - Power: 120 VAC - optionnal 24 VAC. - LED indication of Power On, Low Alarm, High Alarm. 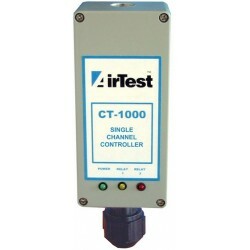 - Multiple controllers can be daisy chained to provide multiple sensor zone control.